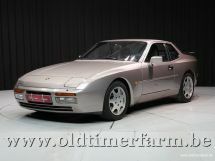 The Porsche 944 was produced from 1982 to 1991. It was built on the same platform as the 924, although 924 production continued only until 1988. 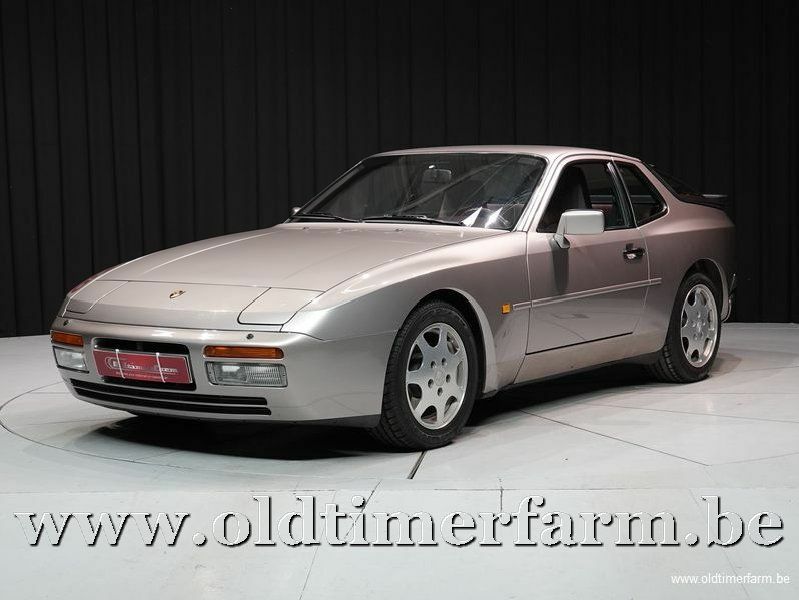 The 944 was intended to last into the 1990s, but major revisions planned for a 944 "S3" model were eventually rolled into the 968 instead, which replaced the 944. The 944 was a successful model and was available as both a coupé and cabriolet in naturally aspirated and turbocharged forms. 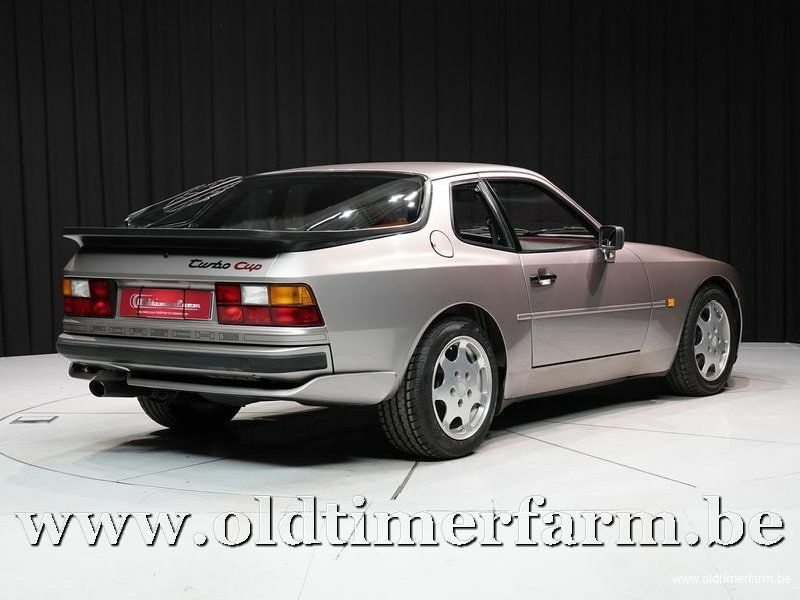 Porsche re-worked the platform of the 924 and abandoned the Audi engine, installing in its place its own freshly designed all-alloy 2.5-litre straight-4 engine, that was, in essence, half of the 928's 5.0-litre V8, although very few parts were actually interchangeable. Not a natural choice for a luxury sports car, a four-cylinder engine was chosen for fuel efficiency and size, because it had to be fitted from below on the Neckarsulm production line. To overcome the unbalanced secondary forces that make other four-cylinder engines feel harsh, Porsche included two counter-rotating balance shafts running at twice engine speed invented in 1904 by British engineer Frederick Lanchester, and further developed and patented in 1975 by Mitsubishi Motors. The engine was factory-rated at 150 hp (152 PS) in its U.S. configuration. Revised bodywork with wider wheel arches, similar to that of the 924 Carrera GT, a fresh interior and upgrades to the braking and suspension systems rounded out the major changes. 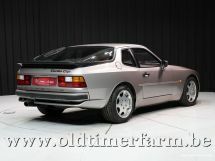 Porsche introduced the 944 for MY 1982 to great anticipation. In addition to being slightly faster (despite having a poorer drag co-efficient than the 924), the 944 was better equipped and more refined than the 924's, it had better handling and stopping power and was more comfortable to drive. In mid-1985 the 944 underwent its first significant changes. These included : a new dash and door panels, embedded radio antenna, upgraded alternator, increased oil sump capacity, new front and rear cast alloy control arms and semi-trailing arms, larger fuel tank, optional heated and powered seats, Porsche HiFi sound system, and revisions in the mounting of the transaxle to reduce noise and vibration., etc. For the 1987 model year, the 944 Motronic DME was updated, and newly incorporated anti-lock braking and air bags for increased safety. Because of the ABS system, the wheel offset changed to 52mm and Fuchs wheels were no longer an option. For the 1986 model year Porsche introduced the 944 Turbo, known internally as the 951. This had a turbocharged and intercooled version of the standard car's engine that produced 220 hp. The turbo was the world's first car using a ceramic port liner to retain exhaust gas temperature and new forged pistons. The Turbo also featured several other changes, such as improved aerodynamics, a strengthened gearbox with a different final drive ratio, standard external oil coolers for both the engine and transmission, standard 16 inch wheels (optional forged Fuchs wheels), and a slightly stiffer suspension (Progressive springs) to handle the extra weight. Major engine component revisions, more than thirty in all, were made to the 951 to compensate for increased internal loads and heat. In 1988, Porsche introduced the Turbo S (SE in the UK). It had a more powerful engine (247 hp) and 340 Nm) torque.